Happy Friday, folks! With the weather dropping back down to the low 30’s in Dallas during the later half of the week, I was back to wearing my warmest sweaters and heaviest coats. 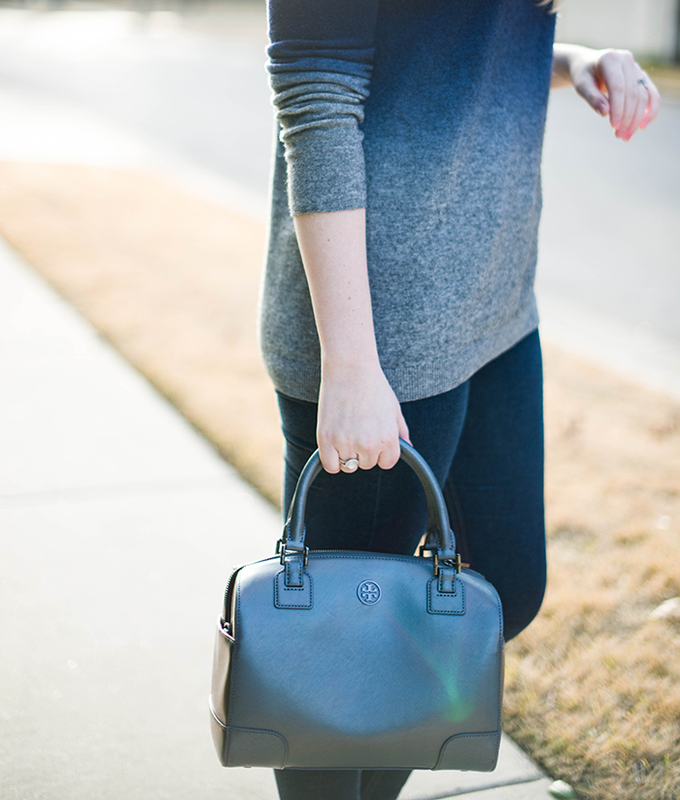 Aside from my favorite black OTTE sweater, most of my knits are by Vince. They are always the softest, most comfortable sweaters each season and I always love how long the styles are. Now is still a great time to pick up sweaters since a lot of the spring collections have lighter ones that will transition well into March and April. I have my eye on this degrade sweater (in the aqua combo) – it’s the same fit as the sweater I’m wearing above, but in lighter shades for spring and in lighter material. It’ll be perfect for my upcoming trip to Carmel next month, don’t you think? This striped sweater is another great basic that’ll be in my closet year after year. I hope you all have a safe and happy weekend! I love your sweater and the gray and navy looks amazing on you. I almost purchased that sweater! Now i wish i did! looks amazing on you! That bag is gorgeous! 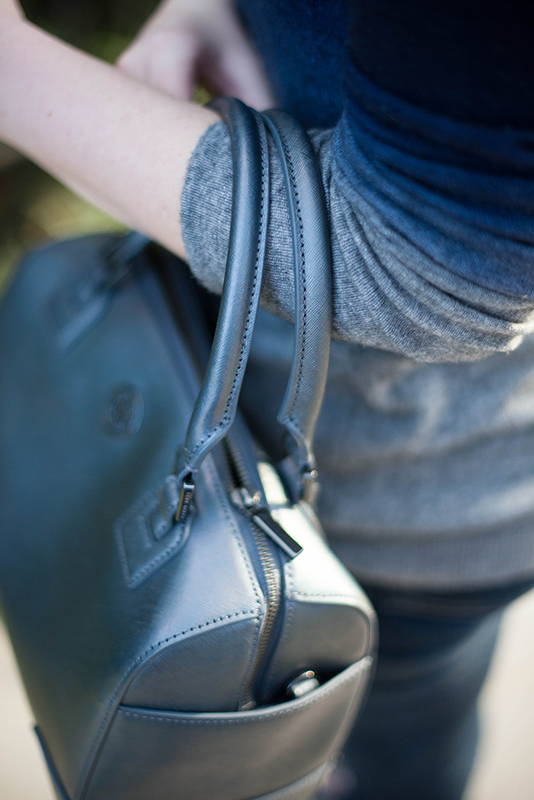 I’m loving the casual vibe, but at the same time so incredibly chic and luxurious. Great outfit! I’ve been obsessing over this sweater since you first wore it! 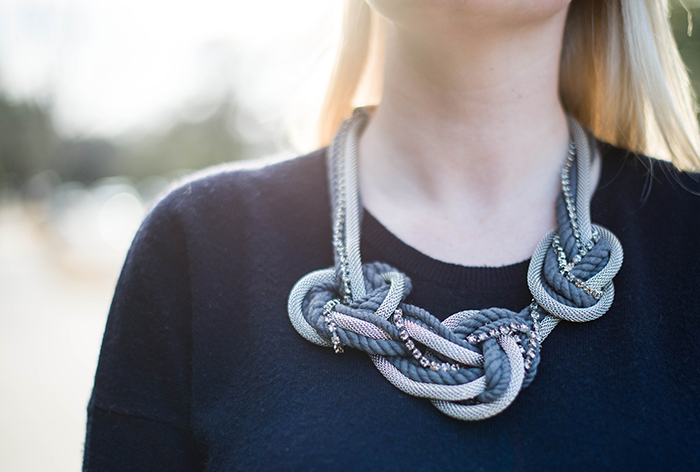 Love the shades of gray, and talk about a statement necklace! Love. 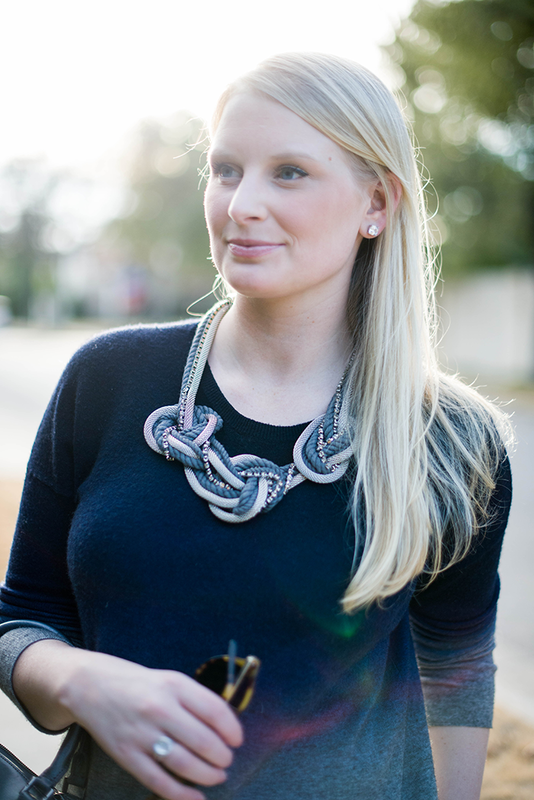 Vince makes some of my absolute favorite knits along with Helmut Lang :) And that necklace! Let’s take a minute to talk about how fabulous it is! I would love a trip through your closet. Loving everything about this look down to your subtle Chanel flats! So pretty! 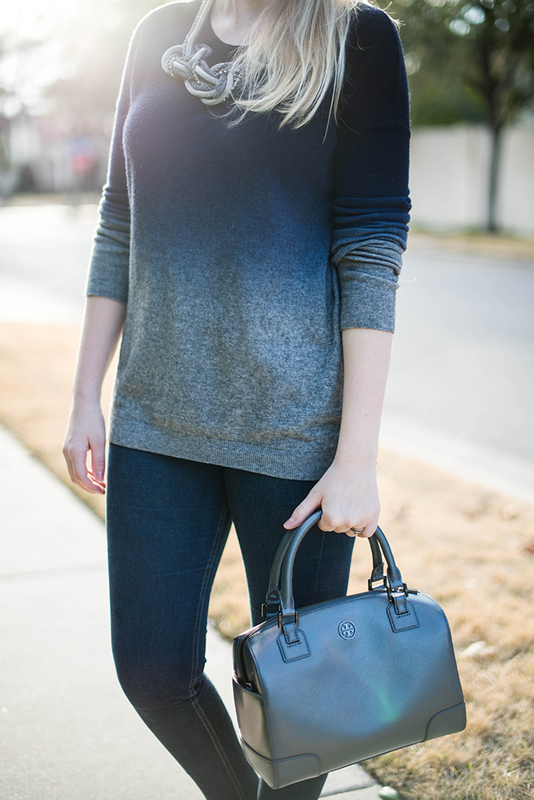 I love that Vince sweater and I agree their sweaters are amazingly soft! Necklace is fantastic. Love this sweater! The ombre is so fun! You’re such a inspiring model. You’re such an inspiring model. What a perfect cold-weather chic look! I can’t get over that necklace! So pretty! 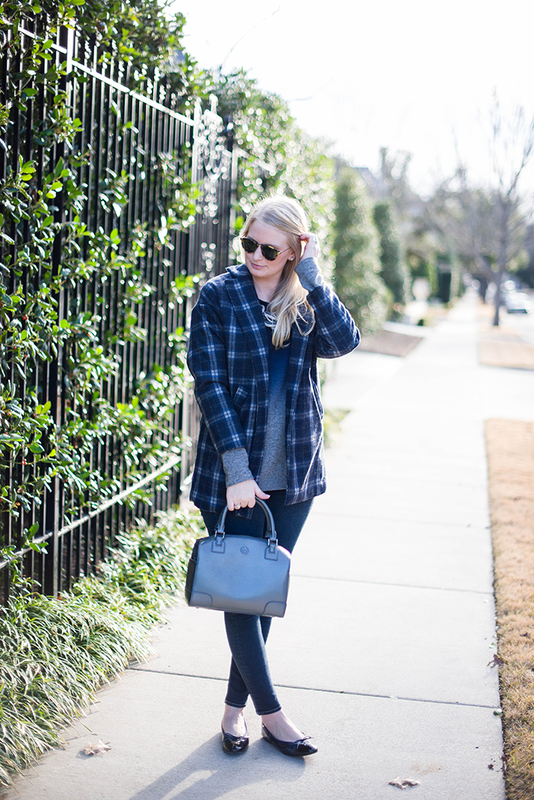 Love how you layered the plaid! Love this outfit! It’s perfect for out South Florida winters. Have a great weekend! That sweater is just yummy. Love it! I love this outfit head to toe! That sweater/ necklace pairing is SO SO cute!